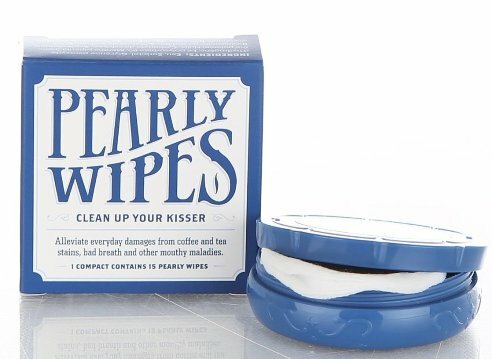 Give your teeth, mouth and tongue a refreshing clean after a meal or anytime with this set of peppermint Pearly Wipes. This pack of 15 FDA approved wipes come packaged in an easy to carry and store mirrored compact that slips into your purse or pocket. One swipe will clean, freshen and protect your teeth, lips and tongue from coffee or tea stains and bad breath. They're great to use before an important meeting, interview, or any time as a confidence builder - and the package can be maintained as a hand mirror.